Demon hunter Dante made a big splash at TGS 2018, with a heck of a lot of Devi May Cry 5 information revealed. First off, the Devil May Cry 5 Deluxe Edition was unveiled, and it certainly comes with a lot. It even brings a weapon from one of Capcom’s most iconic series into the fold. 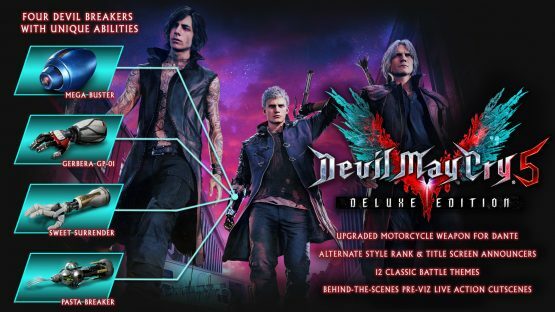 Pricing details for the Devil May Cry 5 Deluxe Edition have not been released at this time. Devil May Cry 5 exists because of the fans, so it seems like a lot of work is going into pleasing them. Devil May Cry 5 releases on March 9, 2019.